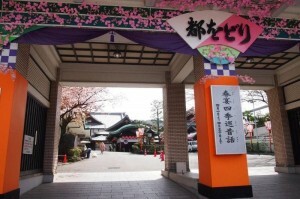 The ceremony is held at the Kaburen Theater of each hanamachi. 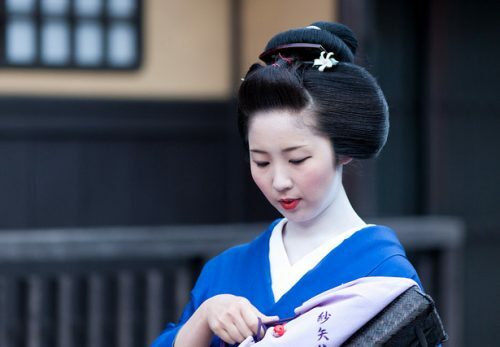 Maiko wear black formal kimono with crests and three pointed white makeup on the back of their necks. 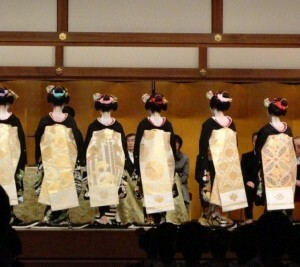 Maiko of each hanamachi dance at Yasaka Shrine for two days ( Maiko of Kamishichiken offer dance at Kitano Shrine). 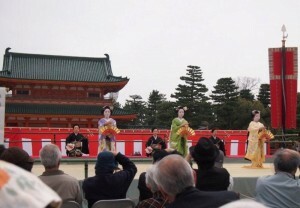 Bean throwing ceremony after the dance. 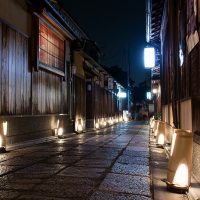 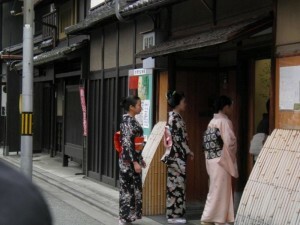 At some hanamachi, geiko and maiko wear the costume which is called “obake” or “monster” and visit zashiki rooms at night. 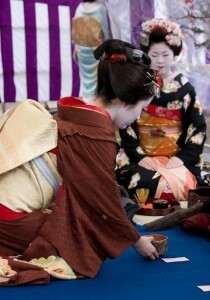 Geiko and maiko of Kamishichiken serve tea at Kitano Shreine. 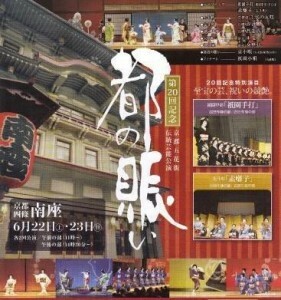 Dance festival is held at each Kaburen Theater of hanamachi (except Gion Higashi). 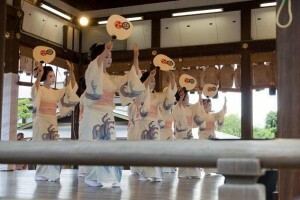 Dedicated dance by　maiko of each hanamachi at Heian Shrine (except the maiko of Kamishichiken). 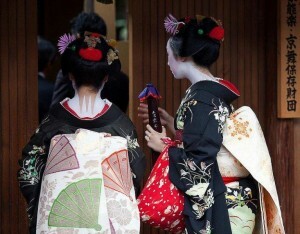 Geiko and maiko of Gion Higashi serve holy sake. 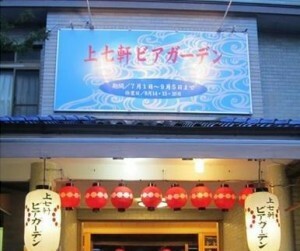 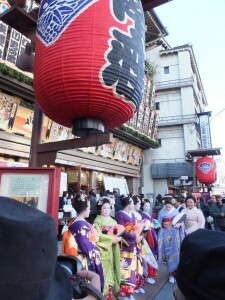 The festival is called “The Hustle of miyako (city)”. 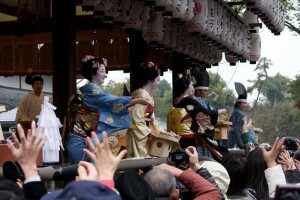 Geiko and maiko of all hanamachi join and make a stage. 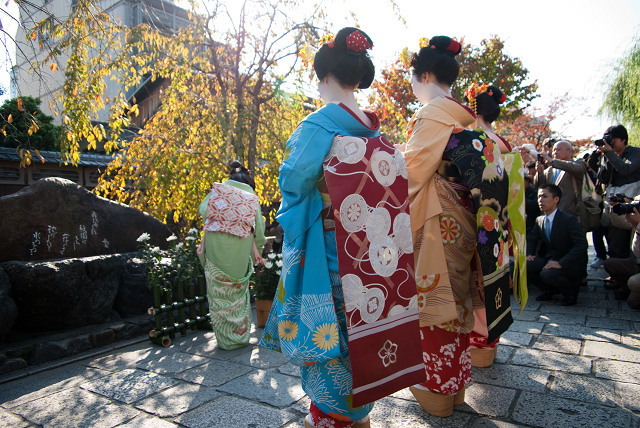 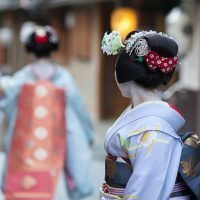 Geiko and maiko of Gion Kobu wear the same yukata and visit Yasaka Shrine. 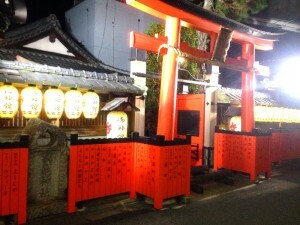 Kaburen Theater of Kamishichiken becomes a beer garden. 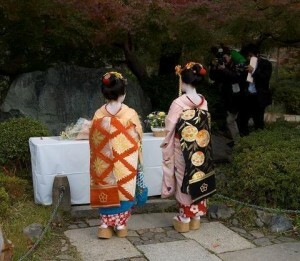 Geiko and maiko of two hanamachi participate every two years (except Kamishichiken). 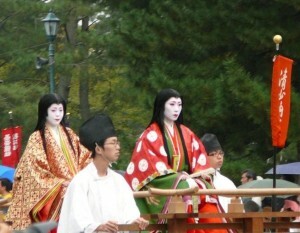 Geiko and maiko of each hanamachi participate in the parade. 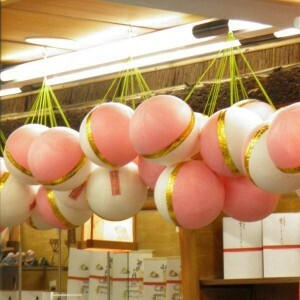 They take turns annually. 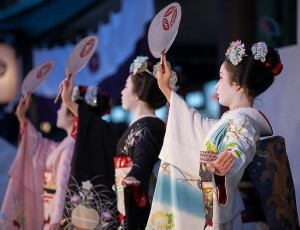 Maiko of each hanamachi take turns dancing annually. 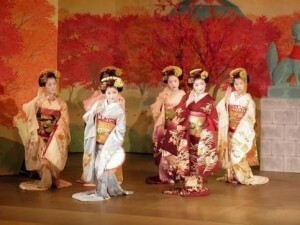 Maiko of each hanamachi visit Minamiza Theater every day in turn and appreciate kabuki. 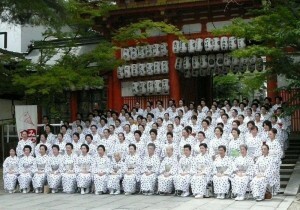 …　Tea houses give red and white lucky bags to geiko and maiko. 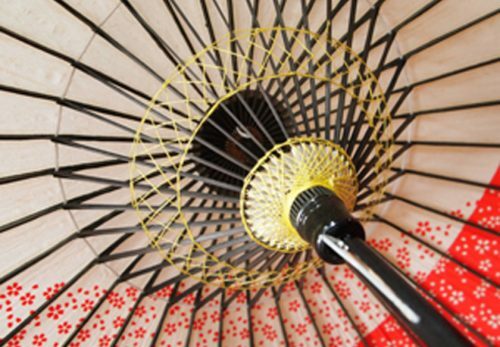 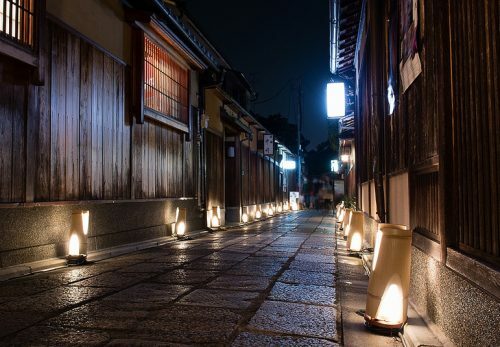 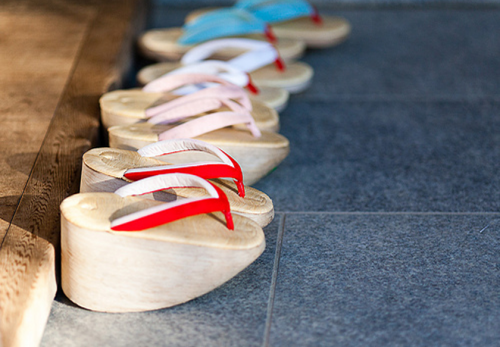 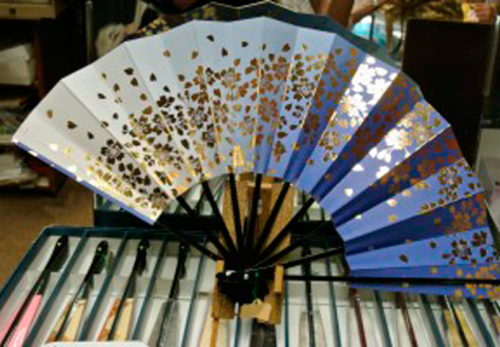 （This custom has been done mainly at Gion Kobu.